Independence, control, and comparison. Those words don’t sound prideful when spoken individually. However, when we rely on ourselves for everything and don’t depend on God for anything, He could view this independent spirit as arrogance or overconfidence. Likewise, it often feels good to be in complete control of ourselves, our lives, an event, a situation, another person, or his actions. The haughty monster of pride rears its ugly head in the condescending creature of control. And when we compare ourselves to others and always come out on top, a conceited nature triumphs over humility in our souls. Be careful—this sounds a bit like sitting in the judgment seat, and that’s not a position you want to claim for yourself. Judgment is reserved for Almighty God alone. 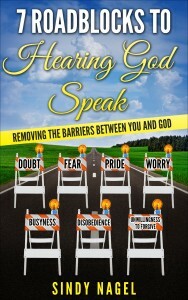 If you are not hearing God’s voice, you may want to perform a pride inventory in your spirit. Do you practice humility and selflessness, or are you responsible for behaviors that are detestable to God? The verses above assure us that God will punish the proud of heart, and He doesn’t go near individuals who are full of pride. If you hold pride in your heart, confess it and ask God’s forgiveness. Get rid of all pride, arrogance, conceit, self-importance, haughtiness, disrespect, loftiness, and condescension before you seek the Lord to listen to His voice. Treat others as more important than yourself. Assume the position of the lowly, the meek, and the servant. Don’t take it to the extreme so that you resemble a doormat, but approaching the Lord with a contrite heart, in humility, opens the door to receiving God’s words of grace, encouragement, and wisdom. Unfortunately, pride comes much too naturally to all of us, including me. Read about the fall of humankind in Genesis 3. From the very beginning of time, self-importance snuck into human desire. Satan tempted Eve with the idea that she could be all-knowing and wise, like God, if she ate the fruit from the forbidden tree. Deceived by the devil, Eve ate some and gave some to Adam. Pride initiated a sinful response when the evil one presented his temptation. The need for independence and superiority continues to be the cause of some of our sin today. Proverbs 16:18 says, “Pride goes before destruction, a haughty spirit before a fall.” The truth of this verse rang loudly in the Garden of Eden. It still rings true thousands of years later. Another example of haughtiness is found in Ezekiel 28, the prophecy against the king of Tyre. In verse 17, the Sovereign Lord says, “Your heart became proud on account of your beauty, and you corrupted your wisdom because of your splendor. So I threw you to the earth; I made a spectacle of you before kings.” God detested his arrogance. The king’s pride preceded his destruction. In Proverbs 8:13, the wise Solomon says, “To fear the Lord is to hate evil; I hate pride and arrogance, evil behavior and perverse speech.” Fear in this case is the same reverence for the Lord that we talked about in the previous blog. When you respect the Lord, you will detest all pride and arrogance, as He does. Yet arrogance sneaks into all areas of life. Recall that pride inventory we talked about? It may be necessary to make that assessment daily, even hourly. If pride in any form resides in your life, don’t expect to be close to God and hear from Him regularly. Psalm 138:6 says, “Though the Lord is on high, He looks upon the lowly, but the proud He knows from afar.” As another passage I’ve already quoted says, “God opposes the proud but gives grace to the humble. Submit yourselves, then, to God. Resist the devil, and he will flee from you. Come near to God and He will come near to you” (James 4:6-8). God spends time with humble people who submit themselves to Him and make time for Him. God distances Himself from the self-righteous, prideful, judgmental person. 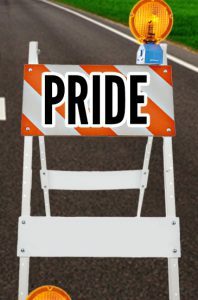 When the needle on the pride-o-meter registers anywhere on the gauge, take action immediately to dispose of all forms of pride. Humble yourself before the Lord. Submit yourself to Him and exalt Him, rather than yourself. Show the Lord how much you trust in Him for everything. Relinquish your control to the Most High. Place the desires of others ahead of your own. Do not judge any person or behavior. Assume the servant position in God’s kingdom. Do you struggle with judging others or promoting yourself to a higher pedestal? What alerts you of your arrogance? I can tell you truly, when I do not practice the humility of a servant, I should not expect God will speak to me. No matter my standing or position in the world, I am but an unworthy sinner, forgiven and saved by God’s grace alone. I am no better than anyone else. If I do not treat others better than myself, God has no business with me, and therefore no reason to talk to me. Anytime I have seated myself on the judgment throne with regard to another human being, God has given me an opportunity to experience the same affliction, position, or experience as the one I judged. Very soon I’ve gained a new appreciation and respect for the one I condemned because I have walked down a similar path. Becoming the object of my own pride rapidly and effectively cuts me down to size. 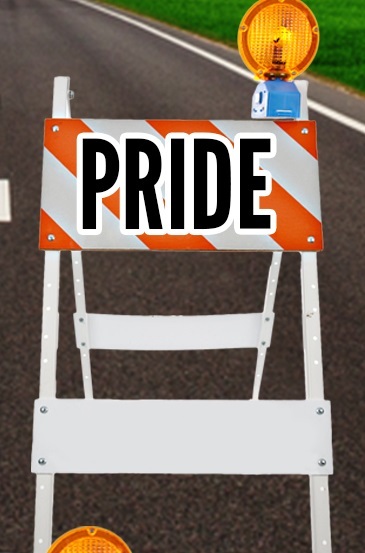 When the roadblock of pride comes down, my reception of God’s voice dramatically improves. The Bible provides many significant illustrations of humility. Jesus, God’s own Son, displayed the ultimate humility when He left His throne in heaven and came to earth to be the sacrificial Lamb and die for our sins. Another dramatic demonstration of Christ’s servanthood took place when He washed the feet of His disciples. We can imitate this kind of humility when we selflessly serve our own subordinates, or, better yet, those we judge. This foot washing can be accomplished literally or figuratively. Think of a way you might take an unassuming position with someone you lead, manage, or influence. Is there any type of metaphorical foot washing you could perform for him or her? Maybe picking up a towel and basin of water is what you really need. Let’s examine some of the enemy’s deceit in our thoughts, which gives birth to overconfidence. You might believe you can take care of yourself; you know what’s best for you. Or, you might think you are in control of your own life. Is it possible that thinking you are better than someone else for any reason could be hampering your clear reception of God’s voice in your thoughts? Grab your copy of 7 Roadblocks to Hearing God’s Voice today, and begin identifying what stands in your way of hearing the voice of the Holy Spirit, who makes your heart His home. Click here to purchase this book now.